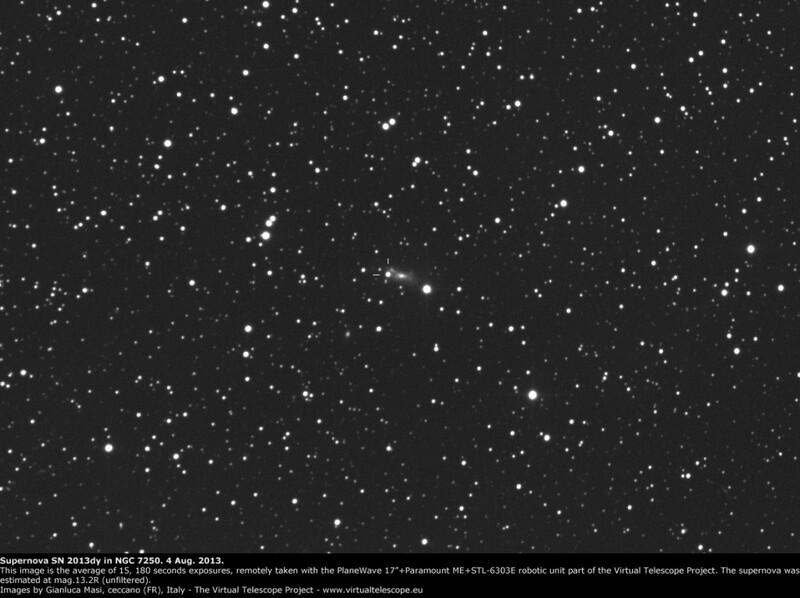 On Aug. 2013, the PlaneWave 17″ robotic unit part of the Virtual Telescope Project imaged supernova SN 2013dy, after that a couple of days earlier the Celestron c14 robotic unit succeeded capturing a spectrum of the same type Ia supernova. The magnitude of the object was estimated to be 13.2 (R, unfiltered). At the imaging time, this was the 2nd brightest supernova in apparent magnitude. Next story Near-Earth asteroid 2005 WK4: a new image and a movie!